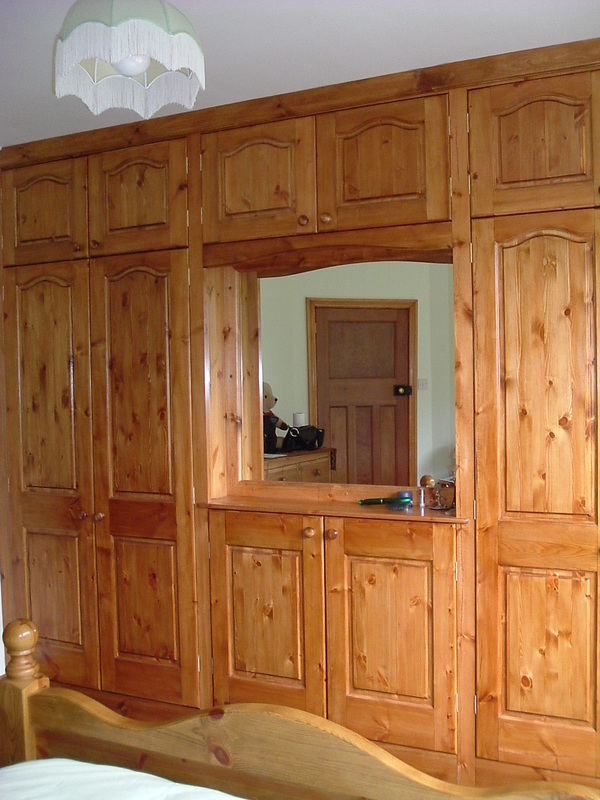 A typical Pine wardrobe, simple in design to suit the cottage setting. 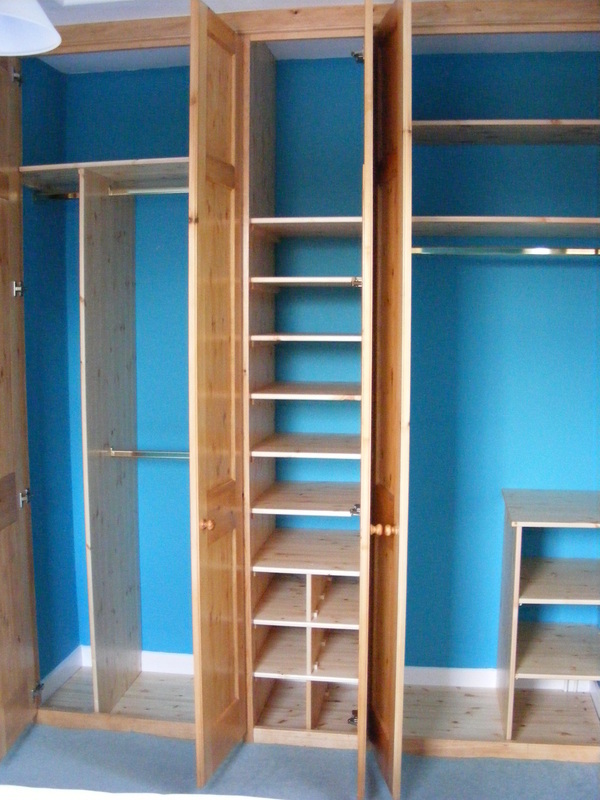 Internal layout can be flexible, the final design will be tailored to suit the customers requirements regarding the distribution of rails, drawers and/or shelving. With more space available, a central mirror gives light to the room as well as being a practical addition to the installation. A wide range of handles and knobs is available and here we have Pine to match the bed and chest. The customer is making full use of the storage provided. Below.